In addition to my gamedev work on Landfall I am also working on a board game called 'The Wailing Lands'. This is part of my larger Wailing Lands worldbuilding project which I have been working on for the past few years. 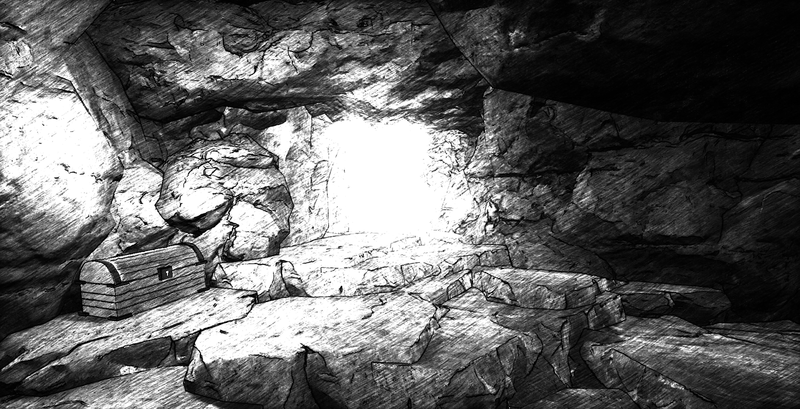 Set in the fantasy world of Wail you and up to two other players will travel through mines and caves, collecting equipment, killing monsters and finally facing off with the Boss of the dungeon. This game is inspired by my experiences when I was younger playing the Fighting Fantasy game books. I would spend hours reading the books, making my way through dungeons and caves, finding items and fighting monsters while recording my inventory. I always loved the fact these games were also books, an entire adventure experience I could carry around for car journeys or play at school, plus me constantly reading must have made my parents happy because I amassed a large pile of these books that my mum would find in charity shops. Beyond the entire idea of a game in a book was the artwork though, I loved the artwork. Turning to a page with an illustration on the opposite side was always a joy. Those sections would always take the longest to complete as I would spend ages pouring over the image for every little detail. This style of art is what has inspired the artwork in this game. Up to three players will select their classes: Warrior, Assassin or Arc Knight and enter a dungeon. Set out the board tile cards, starting with your camp and ending with a boss room. 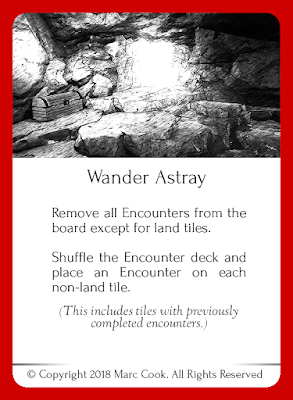 The players then take turns to move through the dungeon, revealing encounter cards as they go which detail which enemies to fight, treasure to find, or drawing an Event from the deck. Completing these Encounters and Events will reward the players with Equipment to improve their characters strengths and grant special abilities. This game will be released as a print and play pack on itch.io for £2. I will also be printing a copy of the game online using The Game Crafter in order to have a nice personal printed copy available. I may also put this online in their store should anyone else wish to buy a hard copy for themselves. An example Event card. 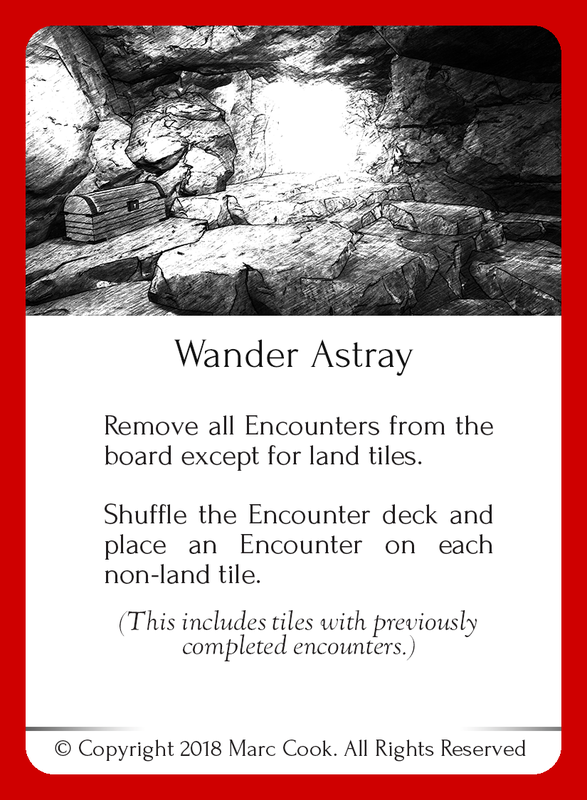 Detailing the rules which should be completed if this card is drawn. Soon I will post some more details about the game including the game modes included within the base game (Delve & Adventures), how I plan on expanding the game and more cards & artwork.